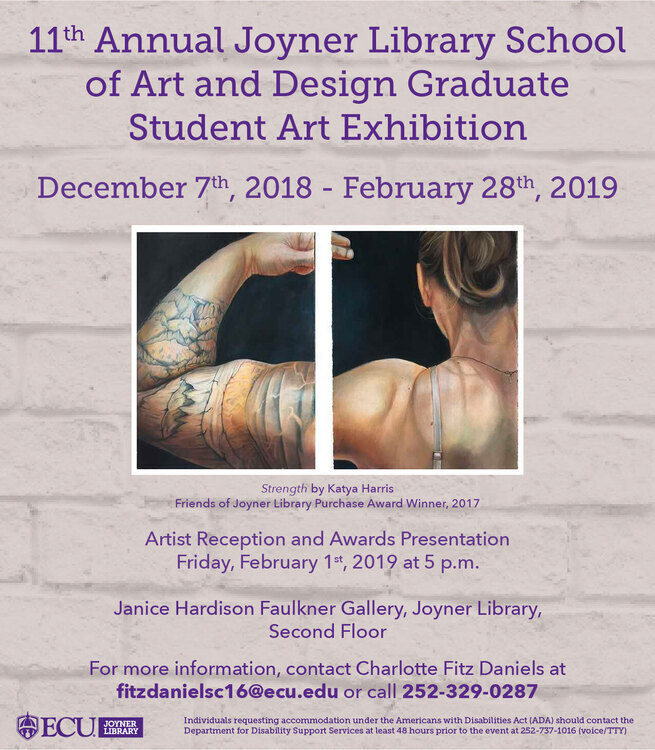 The 11th Annual Joyner Library School of Art and Design Graduate Student Art exhibition will be on view from December 7th, 2018 until February 28th, 2019 in the Janice Hardison Faulkner Gallery. There will be an opening reception on February 7th at 4pm in the Faulkner Gallery. Awards winners will be announced at approximately 4:30 p.m.